Your browser does not support iframes. Iframes are required in order to participate in the poll. There’s some cautious optimism among the current economic doom, according to results of Chemical Processing’s 2009 Salary and Job Satisfaction survey. For instance, while 58% (813) of respondents are concerned about job security, 42% (579) aren’t (Figure 1). Moreover, 47% (655) believe there’s a very slight chance and another 9% (12) think there’s no chance they’ll be laid off or fired within the next two years, with 33% (463) saying there’s a moderate chance. Only 6% (84) think layoffs or firings are likely and a mere 5% (67) believe it’s very likely (Figure 2). Figure 1: The majority of respondents are concerned about job security. The old impalas get left for the hyenas, Carroll said during a recent ACS online forum. However, the road to abundant energy, advanced materials and better health still goes through chemistry, he says. 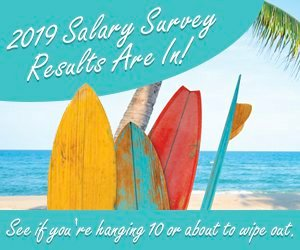 Some abundance clearly is evident in the average salaries reported by survey respondents — $107,804. Average salaries have steadily increased since the survey began in 2005, when the average was $85,234. Each year thereafter, the average salaries were $89,690, $90,038, and $95,231, respectively. However, the average pay raise was down slightly, 4.23% compared to the 5.06% reported in 2008. A substantial majority of respondents (65% or 908) are pleased (65% or 908) with the compensation they receive for their work compared to 35% or 495 who do not think they are fairly compensated. “I'm in the public sector so the salary is a little lower but on the plus side there is high job security, a good retirement program, and no out-of- town travel,” says one respondent. Figure 2: Most respondentsare confident they won’t be laid off or fired. Some respondents expressed concerns. “I am quite satisfied with my current compensation. However, the recent economic downturn has made stock options and profit sharing worth zero, and the possibility of job loss for me is a reality for the first time in my 25 year career at this company,” lamented one. Along with the overall positive attitudes for compensation comes a high degree of job satisfaction; 45% (629) indicate a high degree of satisfaction, another 13% (184) are very satisfied and 34% (475) are satisfied with their jobs. Only 7% (97) report poor job satisfaction and just 2% (23) say their job satisfaction level is very poor (Figure 3). Respondents accessed the survey questionnaire via a link listed in the print edition of Chemical Processing, on the ChemicalProcessing.com Web site, e-newsletters and e-mail blasts sent to readers. Satisfaction Takes Many Forms Money isn’t everything. Indeed, challenging and stimulating work was identified by 48% (672) respondents as the single factor contributing most to their job satisfaction (Figures 4 and 5). Salary and benefits ranked a distant second with 20% (275) respondents, followed by recognition by employer and peers with 14% (192), job security at 9% (130) and advancement opportunities 6% (91). That comment, and other similar ones, might help to explain why lack of recognition is the single factor, 38% (482) most often identified by respondents as what they dislike most about their jobs (Figure 5). The company work environment and hours and workload tied at second, each with 28% (353), followed by commute and traveling, 27% (345), salary and benefits at 21% (268) and lack of challenge at 10% (127). Figure 3: Job satisfaction is at an all-time high for this year’s survey. “Engineering and science aren’t glamorous, or extremely high paying fields compared to some others but the work you perform can be intellectually stimulating and a reward in itself,” explains one respondent. Figure 4: The challenge and stimulation is what makes work worthwhile to most survey respondents. And finally, a voice of experience may offer the best insights. “One has to be patient to allow things happen in one's job experience at the pace of the organization they are in. One can push/guide/insist at times but generally one's progress in the work place is controlled by others (generally higher level people) who are on their own schedule. “Flexibility is extremely important. I believe that having an agenda for what you want to do or how much you want to make tends to put artificial limits on what one can do or get to. Almost every position change that has happened to me has been at the instigation of other people in the organization. With maybe one or two exceptions, all worked out well for me and I have grown. Sometimes people outside of you can see more clearly what your potential is or how well you can succeed — especially in how you fit within your organization. A business exists to make money. The most effective businesses make the best use of people to meet the business's goals via the jobs they do. If the individual doesn't want to do what the business wants, he/she can always leave. “In my opinion, one's work experience is not about what position he/she gets to or how much they make. The work experience (assuming one is adequately compensated for what he/she does so that reasonable needs external to work are met) is about the working with others and having pride in what you have done. Figure 5: Lack of recognition remains the top reason for job dissatisfaction among survey respondents. Split Decision As with previous survey results, respondents split about equally on whether negative public opinion of the industry bothers them; 16% (219) are troubled by it very much, another 41% (567) somewhat, while 9% (122) are not bothered by it at all and 34% (475) are not really concerned about it. “People do not fully appreciate how many things that make their lives better are rooted in chemistry and engineering. Also, too many people are intimidated by science due to negative experiences in high school,” explains one respondent. “Public opinion doesn't affect me, most of the time public has no idea what we are doing, why we are doing what we are doing and most important, the public really needs what we are trying to achieve, the public can't really sustain without what we are doing, should give us a little more credit for this,” notes another. Ken Schnepf is Chemical Processing's Managing Editor. You can e-mail him at: kschnepf@putman.net. A total of 1,528 respondents took part in this year’s survey. Bob Cafera, senior manager manufacturing engineering, L’Oreal, Florence, Ky., was randomly selected as the winner of a 120-GB iPod Classic offered by Chemical Processing as an incentive for participating in the survey. We appreciate the answers and comments we received from all of this year’s survey participants.